Doctor Who writer 'astonished' at honour Jump to media player Sherlock and Doctor Who writer Steven Moffat is set to receive an OBE in the Queen's birthday honours. Lenny Henry: 'The phone was on fire' Jump to media player Comedian and actor Lenny Henry is set to become Sir Lenny after confirming he will receive a knighthood in the Queen's birthday honours. New Doctor Who titles inspired by fan Jump to media player The creators of Doctor Who were so impressed by a title sequence made by one fan, they asked if they could use his ideas for the new series. Freeman joy at Sherlock's Emmy haul Jump to media player Sherlock star Martin Freeman gives his reaction to a string of Emmy awards for the BBC Wales-produced drama - and how he found out about his best supporting actor win by text. Doctor Who: 'The Daleks are back' Jump to media player Doctor Who star Matt Smith has said the Daleks return in the new series of the show - and they are ''as scary and malevolent as they should be''. 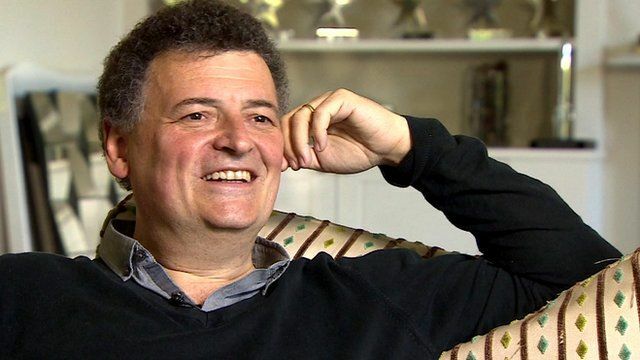 Sherlock and Doctor Who writer Steven Moffat is set to receive an OBE in the Queen's birthday honours. Speaking to the BBC's Lizo Mzimba, Mr Moffat said that he was "astonished" when he read the official letter carrying the news.